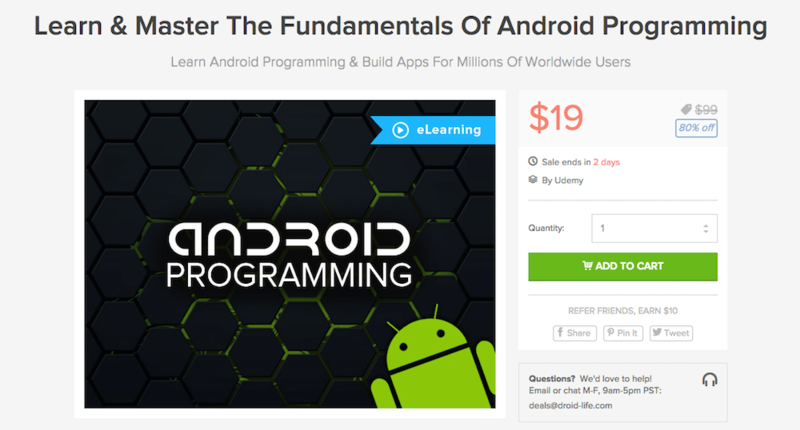 For those of you who need to learn the basics and fundamentals of creating your own Android application, the DL Deals Store is currently hosting a deal on a course for just $19. Regularly priced at $99, users gain access to over 105 lectures, equalling nine and a half hours of content to learn from. If you don’t even know the basics, don’t worry, as this course was designed for you. To get started, you need no programming knowledge, as the course will teach you everything you need to know to make applications. Upon completion, you shall receive a certificate which you can display proudly in your home. Take a look below at the features, then if you are interested, hit up the link below.